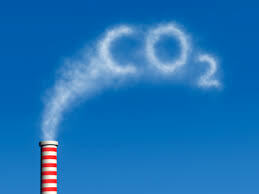 The EU carbon market is considered ineffective by many market players and policy makers, due to the low price level for carbon emissions. As a remedy various countries consider the introduction of a carbon floor, a measure which has already been implemented in the UK. The carbon floor raises the cost of CO2 emissions by power producers and thereby increase power prices. The floor mechanism has important implications for the valuation and optimal hedging of power stations. KYOS authors Vytautas Jurenas and Cyriel de Jong describe the mechanism and the financial consequences in an article published by Energy Risk magazine. They put the mechanism in a broader context of delta hedging market price risks of power stations. This publication is based on the methodologies that are implemented in KyPlant software. KyPlant can be used for pricing, risk managing and optimizing power plants. For more information about KyPlant or power plant hedging, click here. Download the article describing the impact of the carbon floor on power plant hedging here. For more information, please contact KYOS via the contact form.